Summary in the years 2003/2004 the biomass power plant was rebuilt. 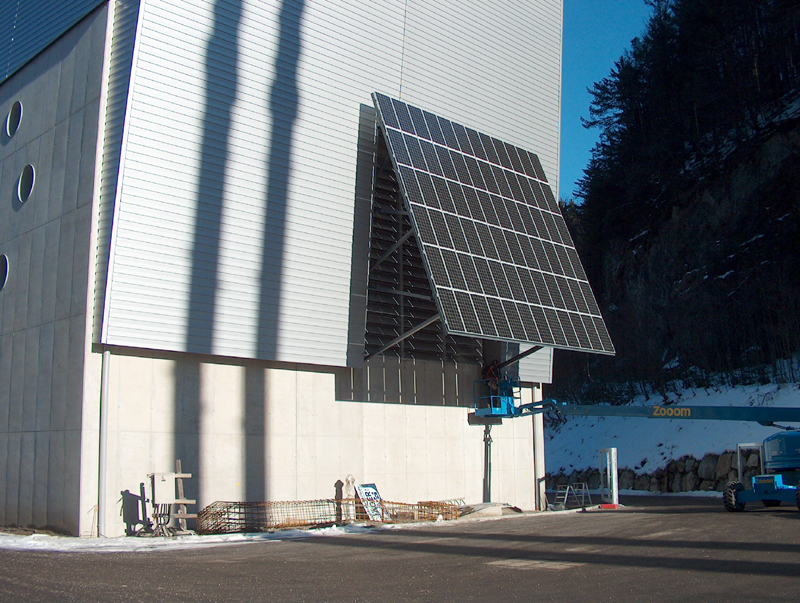 Thereby a PV-power plant was installed to the south-east facade of the flue-gas treatment system. This is another example for the combination of renewable energy sources in power generation.